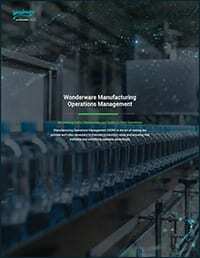 Whether you are operating a batch production operation or a production line, the number of recipes you need to maintain accurately and consistently can be daunting. 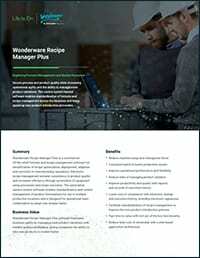 Our commercial off-the-shelf formula and recipe management software offers simplified recipe optimization, deployment, adaptation, and execution. 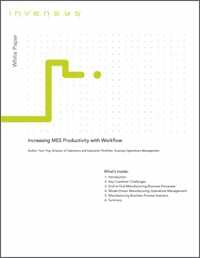 It increases operational efficiency and flexibility by reducing product changeover time and enforces product quality and repeatability through parameter download and procedure automation. Electronic change and execution history records, including electronic signatures, lower cost of compliance. The system-neutral design abstracts formulas and recipes from underlying control systems, which allows for standardizing and streamlining new product introduction processes enterprise-wide. Fast and consistent equipment set up is the key to flexibility and consistent quality for many manufacturing processes. Formula management focuses on managing formulas and equipment for consistent parameter value transfer to control systems. 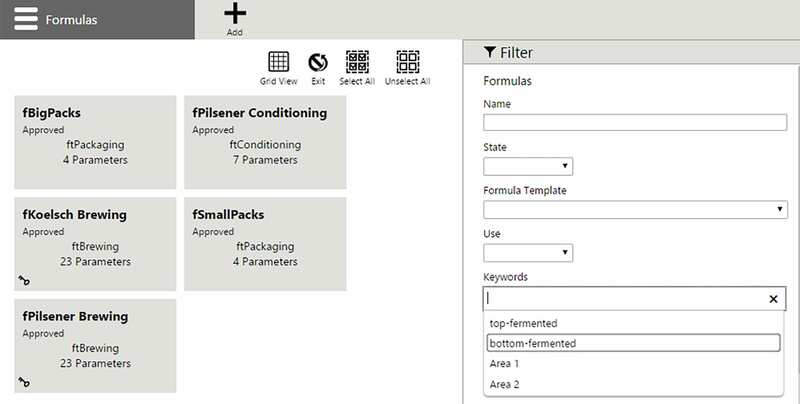 Formulas are defined independent of shop floor equipment, which allows users to centrally manage product definitions for use in multiple production locations regardless of each location’s automation system. Formula download is easy, using the web based user interface. Operators assign a formula by browsing and selecting from a list of available and approved formula instances for specific equipment. Operators can then review the assigned target values, adjust them within given limits, and download the formula to the connected automation system. Comprehensive history records and reporting allow users to view historical information about formulas and recipes that have been created, changed, or executed. Equipment, formulas, and recipes are all “versioned” items, meaning any configuration change increments the version number. Electronic records are automatically created for formula downloads documenting the parameter values and for recipe execution, and can be configured for electronic signatures as well. Electronic signatures (done by / check by), including optional comment enforcement for actions, are available to facilitate implementations that comply with life science industry regulations such as FDA 21 CFR Part 11 or cGMP guidelines (EudraLex Vol. 4 Annex 11). Recipe management and execution adds the ability to create procedures defining the order of equipment execution. A recipe contains the defined procedure and a mapped formula that defines the making of a product by associating a formula and capability parameters. Manual capabilities are available for manual data entry and acknowledgment. To execute a recipe an operator simply assigns a recipe to the appropriate equipment and starts, monitors, and controls its execution. They can adjust parameter values within the defined limits, either prior to recipe start or even just before the capability is executed. The software can be integrated with System Platform or used standalone with any control system via the OPC UA Data Access specification. The recipe procedure is coordinated with the control system using a state interface that can be configured to provide full alignment with ISA-88 standards. The Recipe Management user interface is accessed via a web browser on a desktop, HMI, or mobile devices. Operators can access the execution web page in a browser or a browser control within InTouch for System Platform or other HMI software.